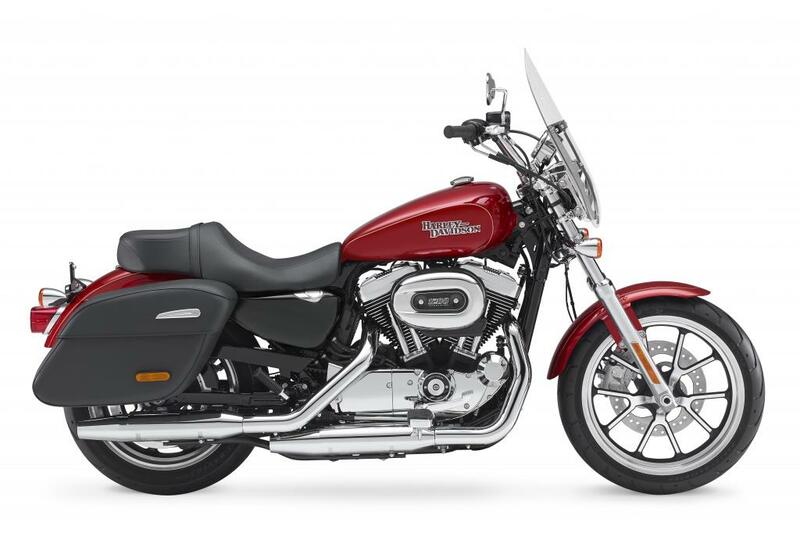 Harley-Davidson has shown three new models for 2014 with a new Low Rider, SuperLow 1200T and a Street Bob Special Edition. The three new models join a heavily revamped Harley-Davidson range which was headlined by the first stage of the new Project Rushmore bikes which were launched last year. Those models included the Road King, Electra Glide and Street Glide ranges. 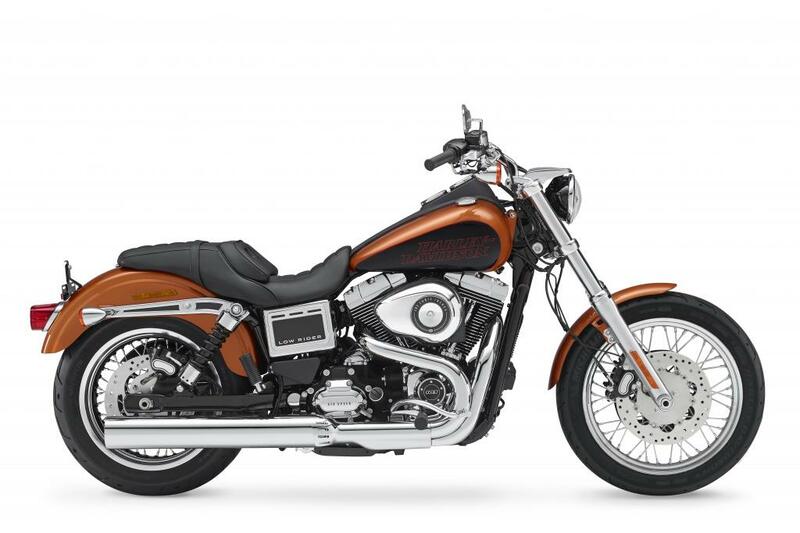 The Low Rider returns to the Harley-Davidson range after a gap of five years and combines a low seat height of just 680mm with an adjustable seat, handlebars and footpegs to make sure the rider can get comfortable. The 1690cc V-twin has been through the same revamp as others as part of the ‘Project Rushmore’ overhaul which is more about revitalising the whole range of bikes as a response to owner feedback than creating new models. Twin front brake discs combine with the polished headlamp trim and black wrinkle finish which were key styling elements from the original Low Rider. 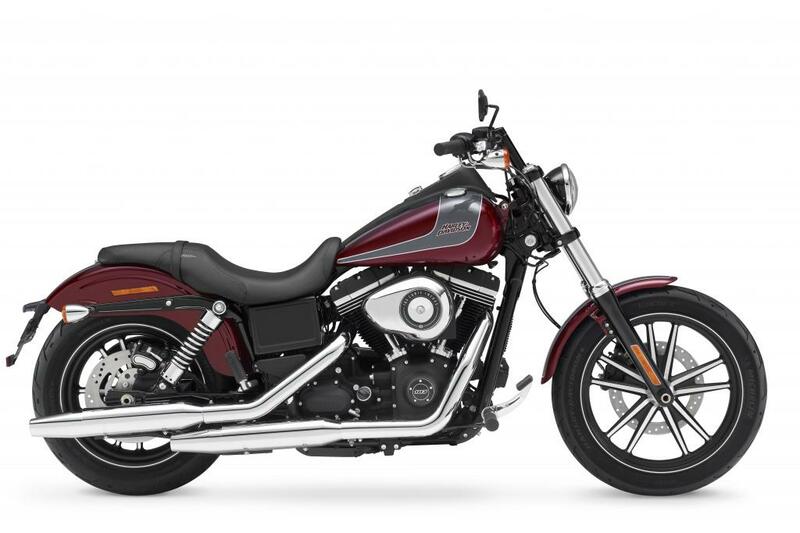 Harley-Davidson is pitching the SuperLow 1200T as a lighter option in the touring category and weighs a massive 53.5kg less than the lightest other Harley touring model and has been specifically aimed at shorter riders between 5ft 1in and 5ft 7in. In this way the ground, handlebar and foot controls are all within reach. 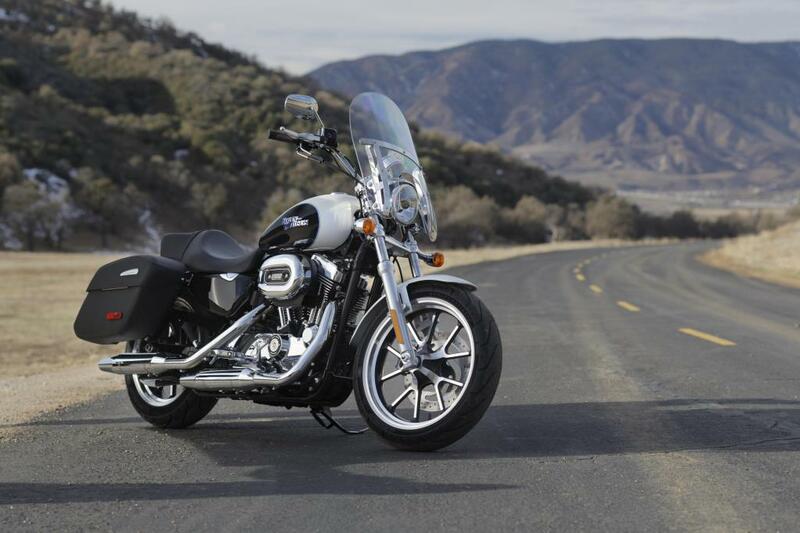 Harley’s press release states: “Thanks to the power of a 1200cc Evolution V-Twin engine, the SuperLow 1200T can run with the pack, while the rear shock absorbers offer easy pre-load adjustment to accommodate the weight of luggage and passenger on the two-up Reduced Reach touring seat. “The rider position is three inches forward from the SuperLow 883 to make it easier to place feet flat on the ground and to reach the side stand. 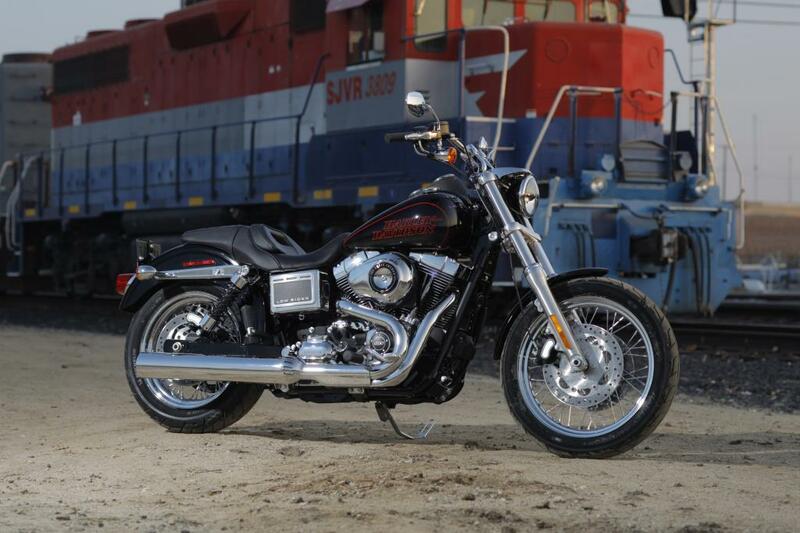 The new Street Bob Special Edition is a custom model with stripped-down styling and a 1690cc engine, 5-spoke cast wheels and a unique two-tone paint job with graphics. It has forward controls and drag handlebars aimed at giving this bobber a meaner look. 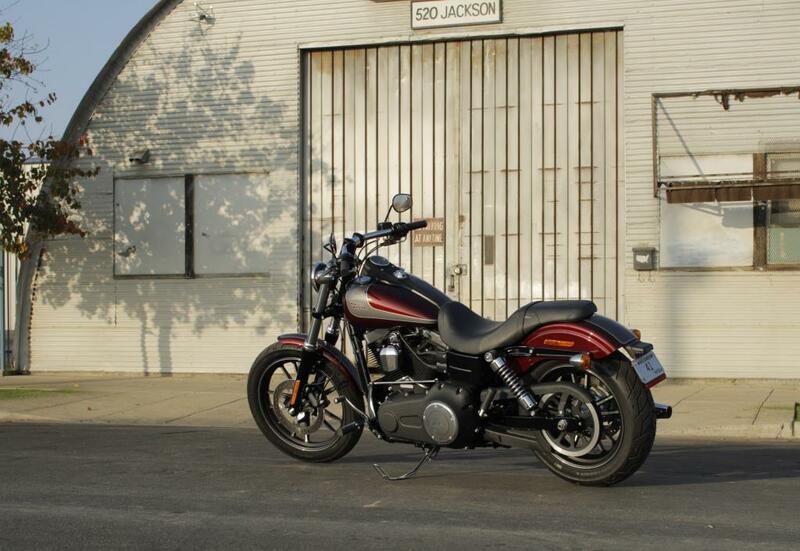 The new model has a chopped rear mudguard, Fat Bob fuel tank, and blacked-out engine as part of this styling makeover.